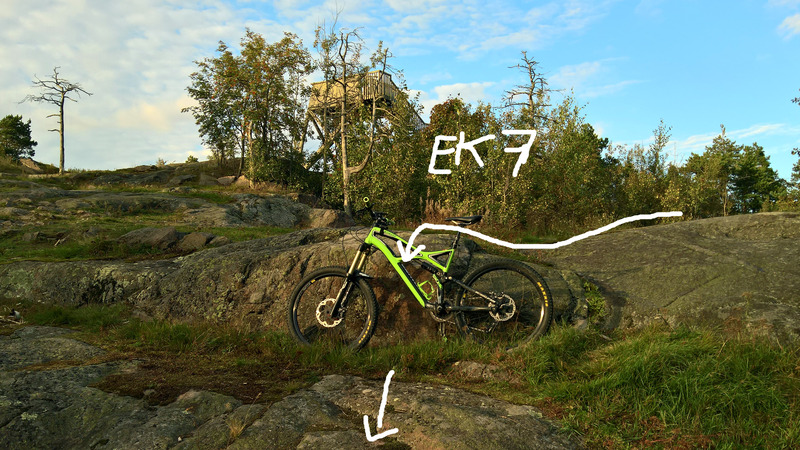 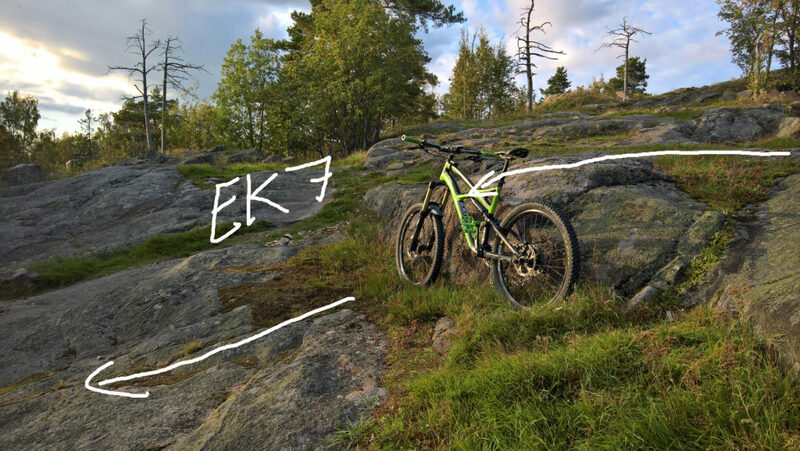 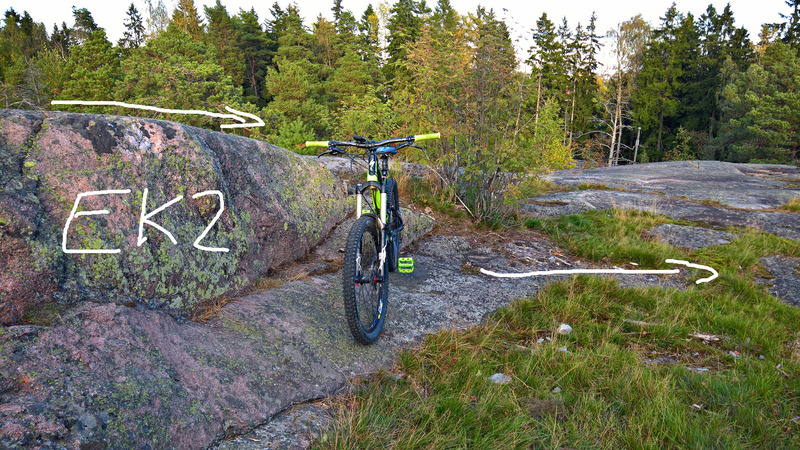 Another training session at Myllykallio with one new track (EK7) and some improvements to old ones. EK7, a new track with a nice little huck in the middle. 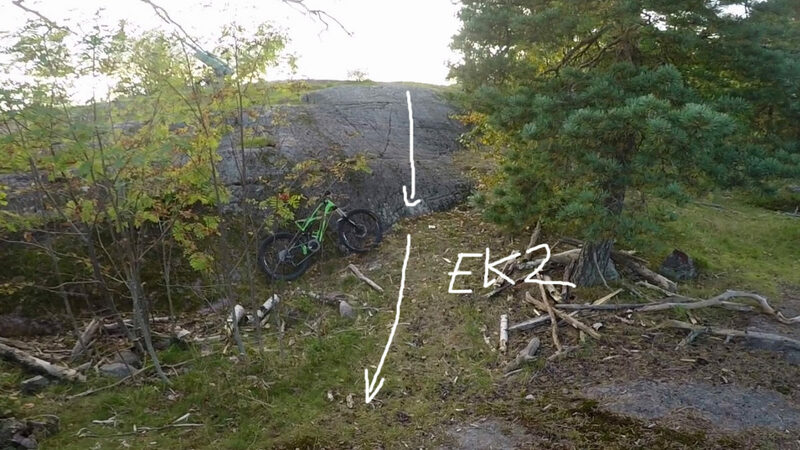 EK2 got just a little reroute to include two new hucks.